I know in yesterdays post I said I haven't spent money in a while but I meant makeup related products, I have picked up/ordered a few things last week that I needed/wanted to try. Witch Gentle Exfoliating Face Wash €5.09: After trying their 'Blemish Stick' and being so impressed with it (you can read post about it here) I decided to pick this up while in Tescos. My skin has started to become dry especially around my nose area and above my lip and it looks dreadful when I have makeup on so Im hoping this will help out. Yes To Cucumbers Facial Wipes €4.75: I'm not one for face wipes due to having dry patches of skin etc I feel like wipes just irritate the hell out of them and make them much worse, however I picked these up for two reasons. 1. being my best friend is coming to visit me during the weekend and she loves face wipes so I decided to pick up a pack so she can use them to remove her makeup while here. 2. I did actually want to try these out because they are 95% natural. I have used 2 so far and they smell so fresh, and they do a really good job at removing all your makeup. However I have used a cleanser and toner after them just so my skin won't get irritated. Garnier Micellar Cleansing Water €3.89: I'm sure you've heard myself and everyone else in the blogging community talk about this amazing product. It's forever a re-purchase for me since it's been released and it does such a brilliant job at removing makeup and if you suffer with sensitive skin like myself this is perfect as it doesn't irritate the skin (or eyes) in anyway and basically just feels like you're wiping water onto your face. 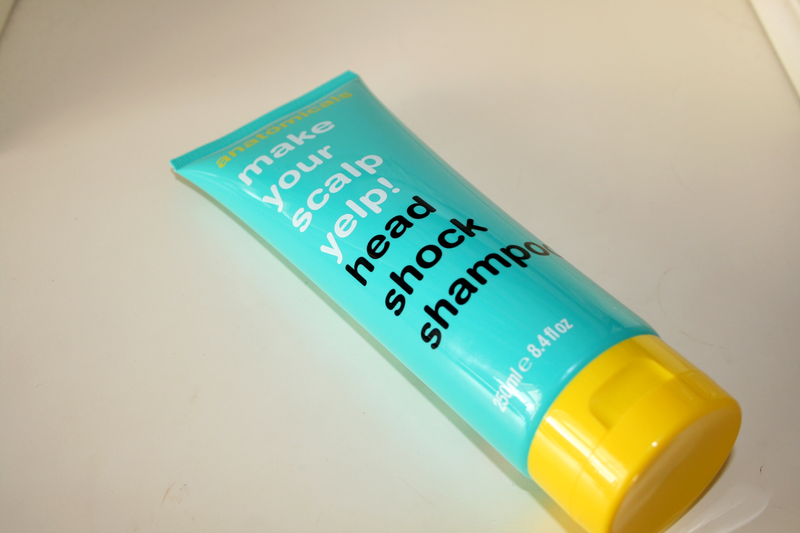 Anatomicals Head Shock Shampoo €3.98: Anatomicals have been a brand I've been really wanting to try for a while because of their amazing packaging. I'm literally such a sucker when it comes to packaging especially when it's so fun looking. I picked up this shampoo up to give it a try as it sounds amazing. It smells of eucalyptus and mint and I know this will do exactly what it says. (Would you like me to go into hairdresser mode and explain all the ingredients and why I know it'll do what it says aha). 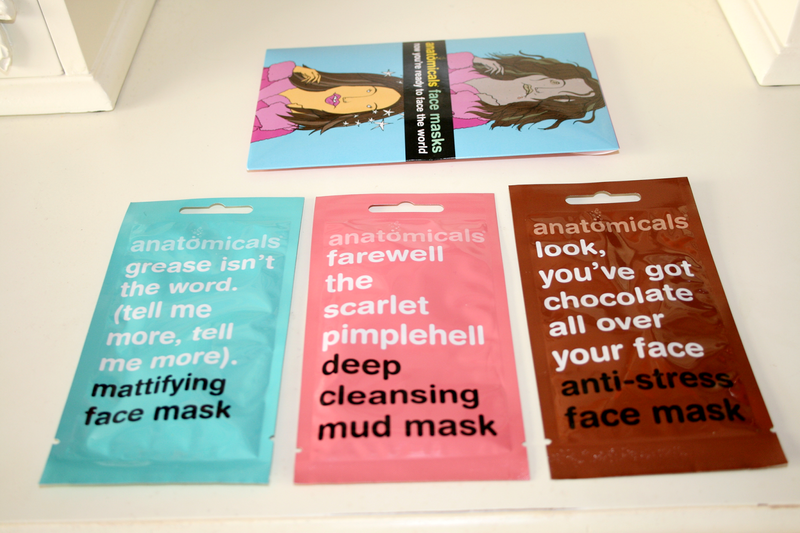 Anatomicals Mask Your Horribleness €5.69: I love a good face mask as they are so great when your skin is hating you or when you just want to relax. I picked up this pack of two to try and their the cloth kind of masks which is awesome because they don't be messy in anyway. I also squealed a little when I seen these because of the Queen of Hearts reference on the green one (fave character from fave movie). 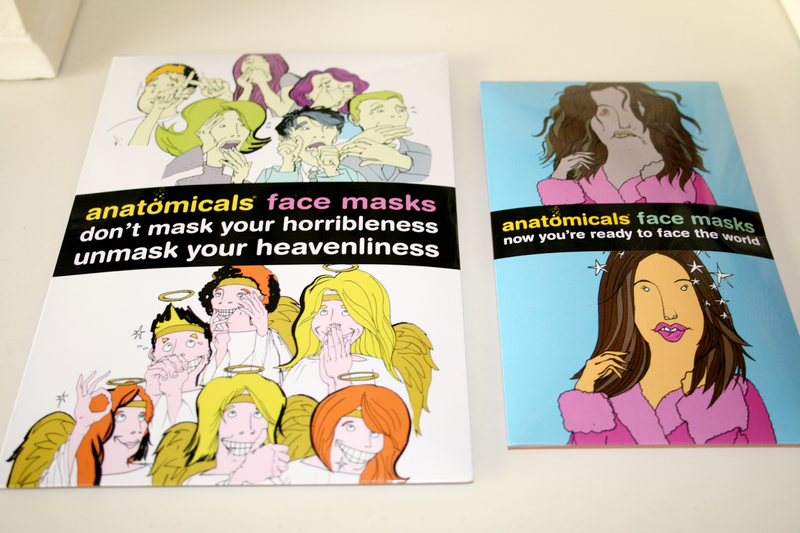 Anatomicals Face Mask Pack €4.27: Again another pack of face masks only the messy kind. I'm not sure I'll actually use the mattifying one as I don't suffer from oily skin and I'd be afraid incase it set my skin haywire? I'm so excited to try the rest though and they all have really funny paragraphs on the back of their packaging which I'm sure I'll show you soon when I do a little review after using them! Those seem like good products! The Yes To - products are always nice. Would you like to follow each other on GFC?! Let me know and follow me on my blog, I will follow you right back on both GFC and Bloglovin! 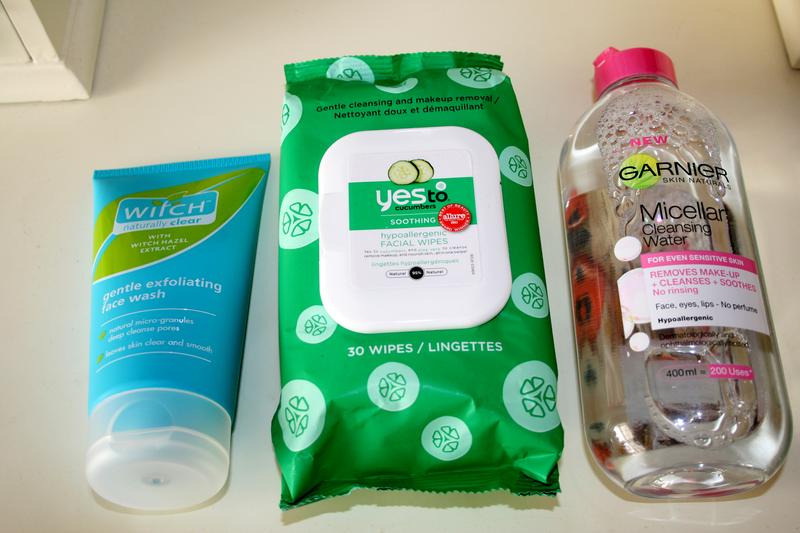 Garnier Micellar Cleansing Water is a lifesaver! 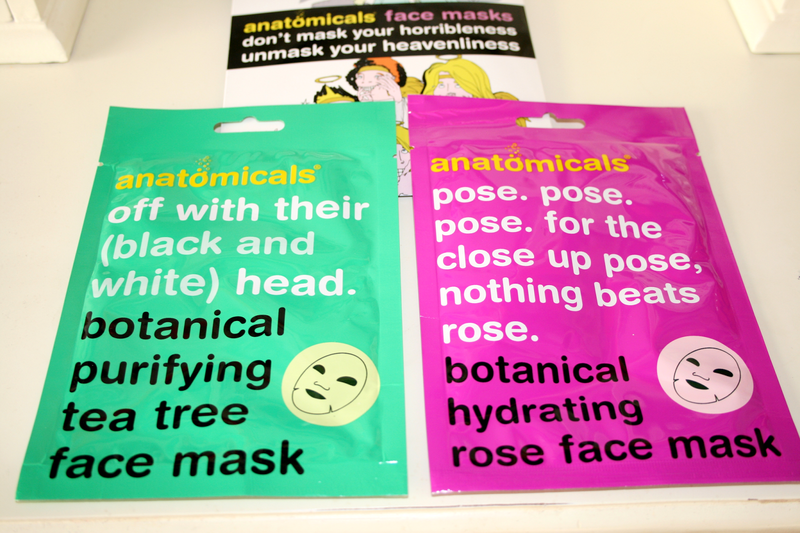 I love the look of the Anatomicals products - I'd buy them just for the funny slogans to be honest! :L I do love a good face mask though, so I'm looking forward to your review! I am just about to buy the Micellar Water, and I can't wait! I also love the 'Farewell the Scarlet Pimplehell' mud mask and I have used up my whole bottle!